The rise of digitalisation across the legal sector is enabling law firms to unlock innovative new ways to operate more efficiently, attract new clients and retain key staff. From virtual practices, paperless trials and the automation of manual tasks, through to the centralisation of data to the cloud and the streamlining of compliance processes – a growing number of law firms are already embracing leading-edge technologies to give themselves a competitive advantage. The Missing Link is a highly experienced, award-winning provider of strategic, functional, affordable and highly effective information and communication solutions for Australian legal firms. As your technology partner, we will prepare your firm for success in the evolving legal landscape by tailoring every technology solution to suit your unique requirements, providing end-to-end expertise under one roof, and by delivering exceptional customer service, every time. 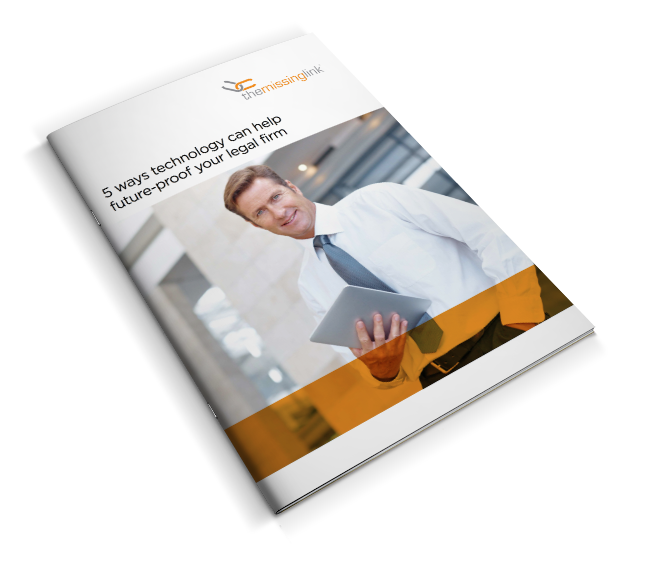 Today's leading technology will create tomorrow's leading law firms.